My oldest son, Christopher, is 33 and a father of Carter,Quinn, and Sylas. He is a fireman in Grand More…Forks North Dakota and lives with his wife Laura. My daughter, Amanda is 32. Her and her husband Jeremy have 2 sons, Jacob and Jayson. She is a paralegal at a law firm in Fargo, North Dakota. Our youngest son, Andrew is 28 and is a diesel mechanic in Fargo, North Dakota. I went to Moorhead State University out of high school and graduated in 1978. Hawley was my first teaching job and I have been there teaching special education ever since. I retired in 2014. I am very active in our teachers union and go to many national conventions. This is my way of traveling, since my husband, who is a farmer does not like travel. Vickie Quiner Carlson has a birthday today. Vickie Quiner Carlson added a photo to her profile gallery. New comment added. Vickie Quiner Carlson posted a message. New comment added. My lunch date for my birthday was my grandson. The picture of the Quiners. 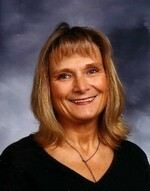 Vickie Quiner Carlson updated her profile. View. Vickie Quiner Carlson added a photo to her profile gallery. 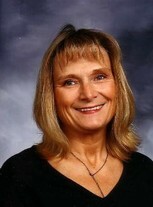 Vickie Quiner Carlson added a comment on her Profile. Vickie Quiner Carlson posted a message. Hi Greg, From one retiree to another; how are you doing? I am posting a reminder of our 40th class reunion, which will be held the 27th of September in Cottage Grove. The details are on this website. Hope to see you there. Vickie Quiner Carlson. Hi Doug! Hope all is well with you. AS I am retired, I have not found much time to get a hold of my 50 people so I am a little late in writing to remind you of our 40th reunion, with the details on this webiste the 27th of September. Hope to see you there. Vickie. Hi Jon! How are you and Liz doing? Some hard working guys have gotten together and put our 40th reunion together. Please take a look at this sight. Hope to see you there on the 27th of September. Vickie! Vickie Quiner Carlson changed her profile picture. Vickie Quiner Carlson added a comment on her Profile. New comment added.